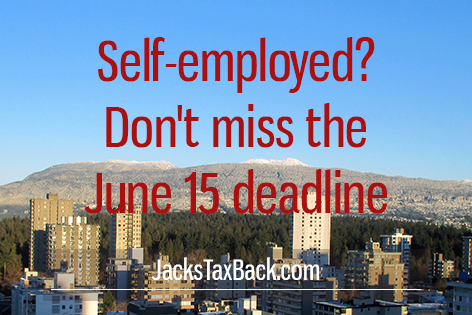 For those that are self-employed contractors in Canada and have not filed your return, the June 15th marks the deadline for when you will start incurring late filing penalty. The late filing fee is certainly worth avoiding if possible and you aren’t too late to get your self-employed tax return. What are the late filing fees after the deadline? It is 5% of you balance owing, so if you owe $5,000 to CRA, this would be an extra $250 on top. Not cool. In addition to this, you will also pay 1% extra for each additional month that is past the deadline date, for a maximum of 12 months. For those that are really behind and haven’t filed for 3 years you will be hit with a 10% penalty on your current year. So it’s certainly worth getting your tax affairs in order as soon as possible. The bad news isn’t quite over yet, however, as you will already haven been accruing interest on your balance owing at a compound daily rate, due to the passing of the April 30th deadline on balances owing. It is not uncommon to be unsure whether you fall into the self-employed category or not, and if you have any questions on the matter don’t hesitate to contact us. Generally speaking, if you are not having tax already deducted from your pay cheque, such as being paid directly or cash in hand, this classes you as a self-employed contractor. 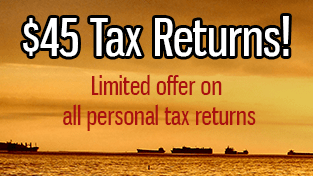 In these cases you are legally required to pay tax on these earnings when filing a tax return. For those with a GST or HST number, that have been charging GST/HST on their services throughout the year. You will also need to file a GST/HST remittance on the 15th of June deadline. If any of the above applies to you and you need to file your self-employed tax return or GST/HST remittance, email the team today for a free quote and consultation. Don’t be stung with the late filing fee and compound interest rates.